Genestra Digest Plus is a digestive enzyme formula with betaine hydrochloride. Digest Plus is a complete digestive formula containing natural enzymes and betaine hydrochloride to help decrease bloating after high caloric, high fat meals. 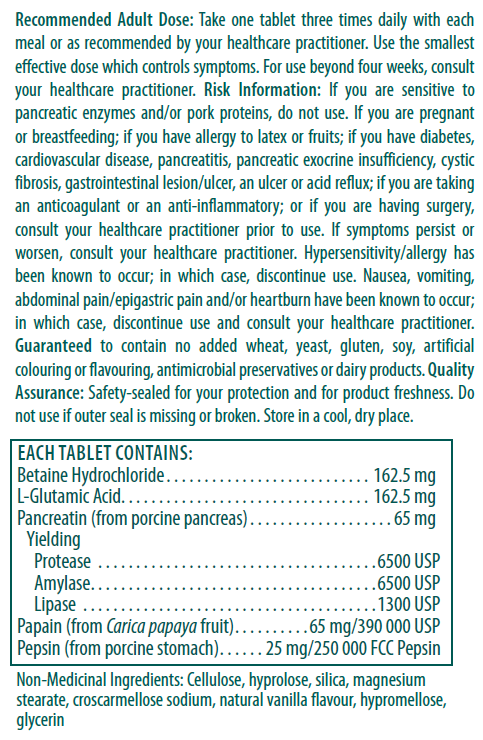 Betaine hydrochloride (betaine HCl) is commonly used to supplement gastric acid levels, especially in individuals with hypochloridia.